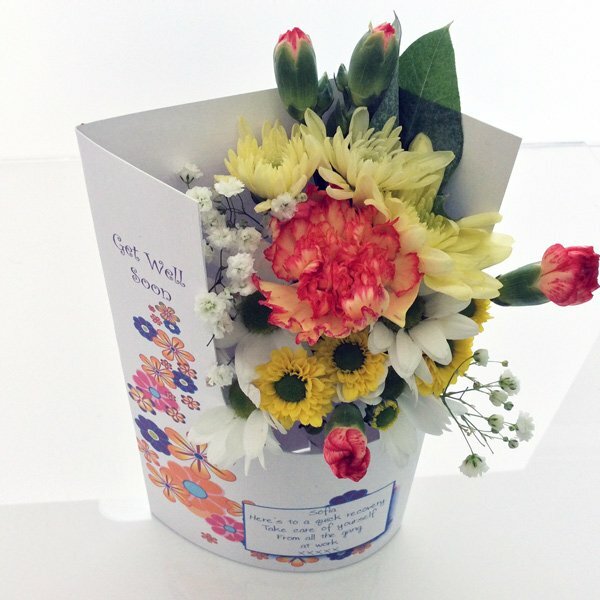 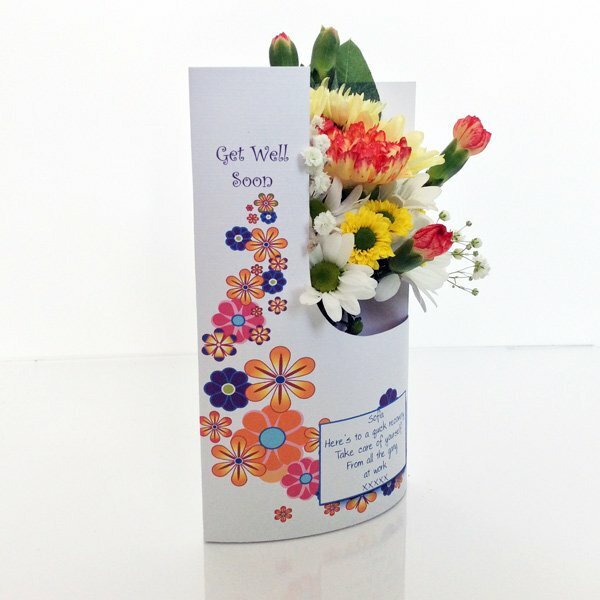 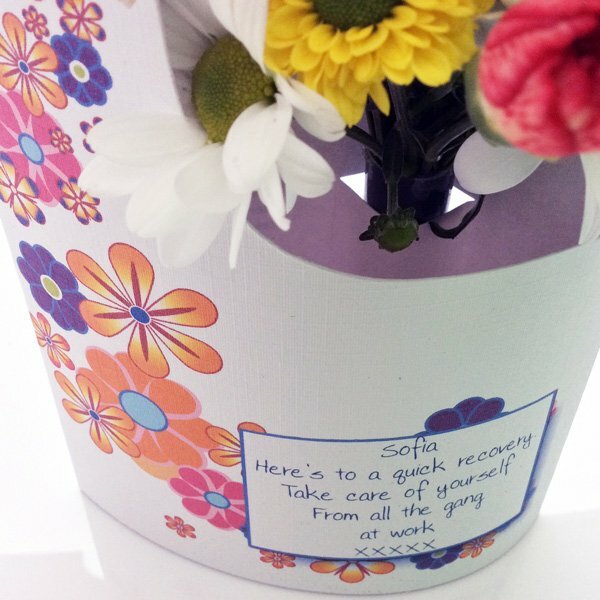 Funky Flowers Get Well Soon card is our newest design. 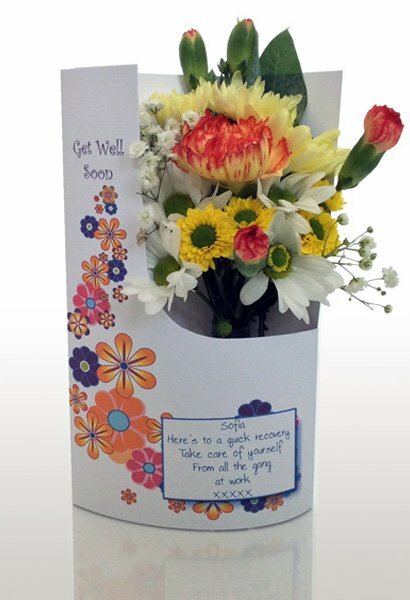 Ideal to cheer someone up who's a little under the weather. 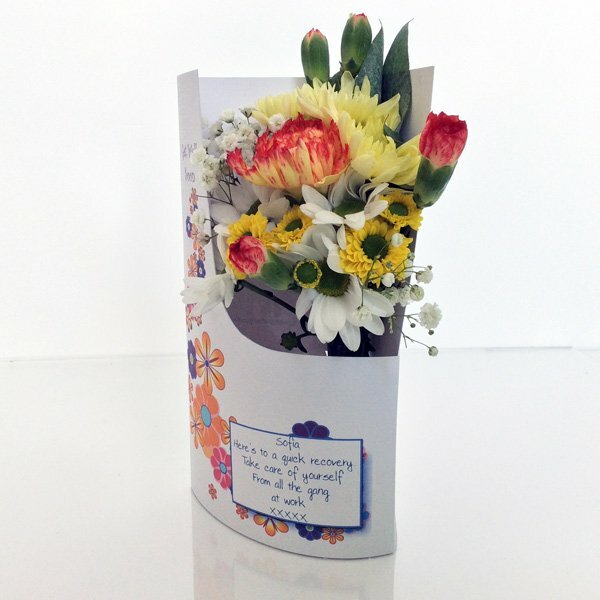 With your own message printed in the box on the front of the card this will give them a nice little boost.